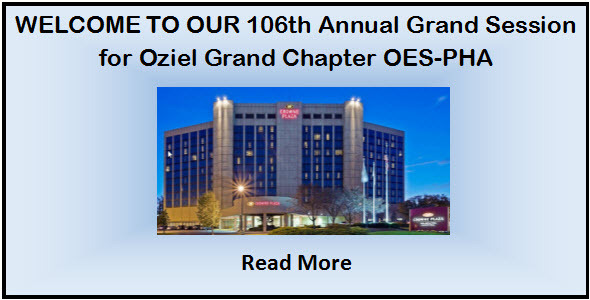 Oziel Grand Chapter, Order of Eastern Star Charity Foundation for the Jurisdiction of New Jersey, PHA , a 501 (c)(3) Corporation, is organized exclusively for charitable, religious, educational and health awareness activities within the Jurisdiction of New Jersey. Read more about our OCEAN FIRST CHARITY CHALLENGE. In July 1956, the Youth Felicitares (YF) was founded and introduced as an organization under the auspices of Oziel Grand Chapter, Order of the Eastern Star, Prince Hall Affiliated, in the Jurisdiction of New Jersey by Past Grand Worthy Matron, Camilla R. Lockwood.